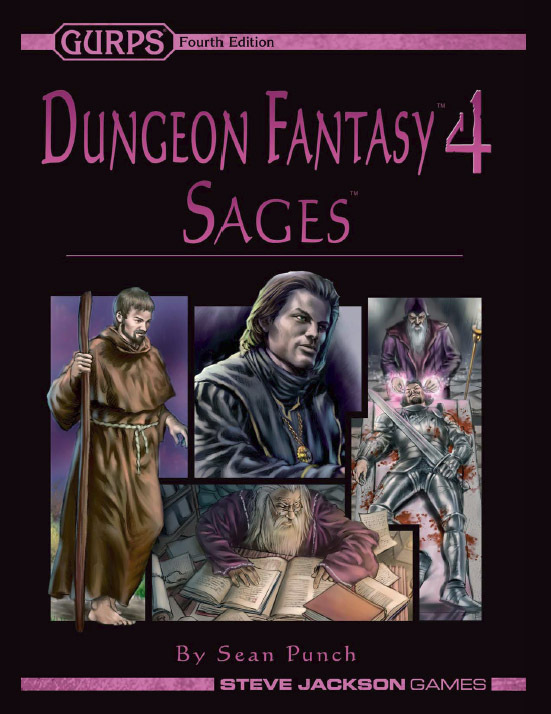 Dungeon Fantasy 4: Sages lets you play one of the few who successfully mix reading with bleeding, wordplay with swordplay, erudition with eradication . . . well, you get the idea (hey, you're supposed to be smart!). It introduces the artificer, who adds gizmos and technology to the party's swords and spells, and the scholar, who's a true master of obscure lore (such as "Where did ancient cultures hide their stuff?"). 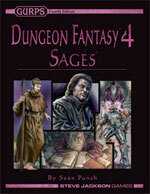 These new roles come with character templates, special abilities, and lenses for combining them with other professions.